If you do a lot of custom wiring, the ABN Deutsch Closed-Barrel D-Sub Crimper 20-26 AWG is a must for your toolbox. The ratcheting-action design of this tool is ideal for crimping d-sub contacts on closed-barrel terminals found on trucks, motorcycles, construction equipment, or any vehicle prone to rattling. This crimper has a AWG 20-26 HT-crimping size and features a carbon steel frame with a hardened black oxide finish. 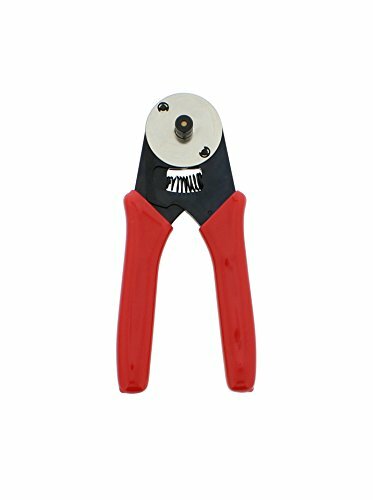 The ratchet action provides secure, factory quality crimps every time for Deutsch connectors and requires only a fraction of the hand strength and effort required to use non-ratcheting crimpers. The design ensures that crimps are consistent and essentially eliminates damaged and distorted terminals. WARNING: This product can expose you to chemicals which is [are] known to the State of California to cause cancer and birth defects or other reproductive harm. For more information go to www.P65Warnings.ca.gov.